The beautiful thing about Private Label Rights products is that once you have paid to license one, it’s yours. You own it and can do anything you want with it. One thing you probably don’t want to do is to offer it for sale as is. That’s because other people probably also bought this same PLR product and they could also offer it for sale as-is. It’s not original and probably isn’t going to sell as well if you offer the same product as somebody else. Instead, you want to change the product to make it uniquely your own. At the very least, you are going to want to come up with a new title and list yourself as the author. 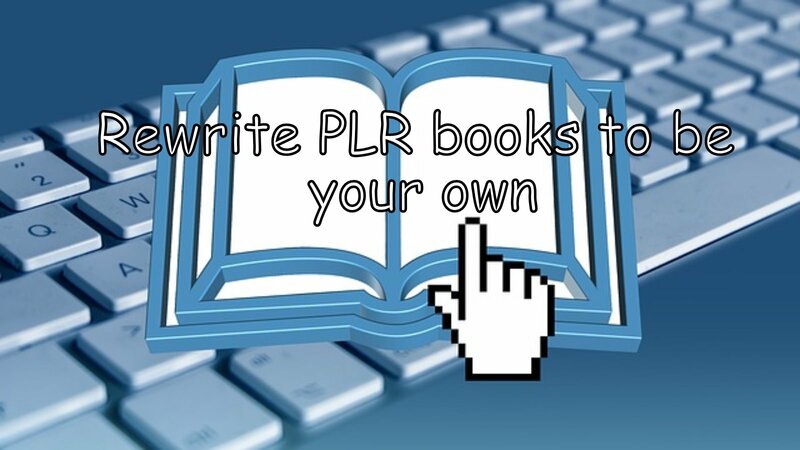 The first thing you want to do is to read the PLR product you bought from start to finish. Sometimes it’s helpful to print up a hard copy so that you can mark up the things you want to write and change down your thoughts as you meet the text for the first time. You also can use the Notes program on Word to do the same thing on-screen, if you want. After you have become familiar with the product, make an outline of the parts you thought were well-done and those that need to be improved. Remember: You can use the existing text either in total or in parts to create your original product, but the best PLR products have the voice of the seller, so you are probably going to want to rewrite most or all of it. Feel free to change sub-heads and headlines, rewrite entire sections, add new material and throw out parts you don’t like. Use the photos, illustrations and other images that came with the book, or get rid of them and find new ones. This is where having a familiarity with the subject comes in handy. If you want to add new material to the text, you can either add content that you already own or search for more content on the internet. Wikipedia is always a good place to start. Because if you do this you may be violating copyright laws and you could get in trouble, be careful about copying and pasting whole sentences or paragraphs. Plagiarism programs can easily detect if you are stealing content from another source. Instead, rewrite anything you take from another site so that it is completely different from the original. The same holds true with images. The images that came with the PLR product are yours, but you shouldn’t copy and paste images you find online into your new product, even if you have found the perfect image on Google Images. A better plan is to buy photos from a stock photo website. When you pay, you buy the photos along with a license to use them as you wish, without having to pay any further royalties or fees. You also can use images that are in the public domain. That means they are not copyright protected and you can use them any way you want. Converting Private Label Rights eBooks and other files into original products is a fast, effective and easy way to create a high-profit Internet marketing platform that can start earning real money for you.